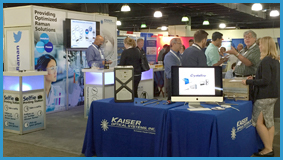 Trade shows and exhibitions are a convenient way for customers to see Kaiser's latest products and technology. Please check in regularly as new events may be added to our calendar. The trade show and conference schedule is subject to change.